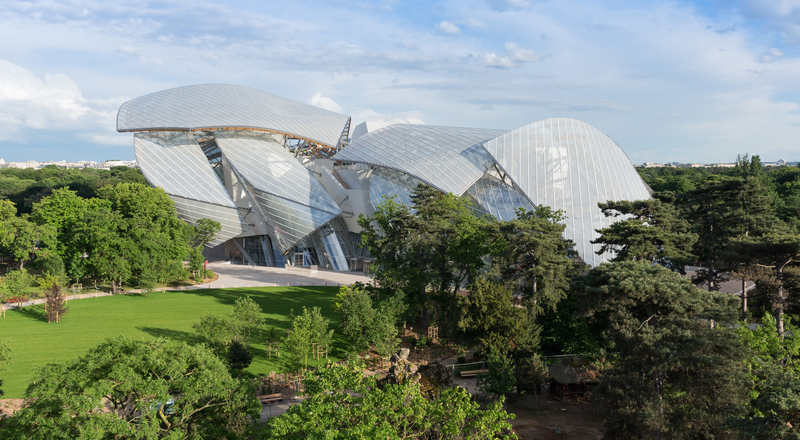 The Fondation Louis Vuitton will open its doors to the public on Monday, 27 October 2014. The building, designed by architect Frank Gehry, will become a new center in Paris for contemporary French and international artistic creation. The LVMH Group announces the opening to the public on Monday, 27 October 2014, of the Fondation Louis Vuitton. The Foundation will be located in a building commissioned by Bernard Arnault, and designed by the American architect Frank Gehry. Resembling a cloud of glass, the building is set in the Jardin d’Acclimatation in Paris, in the northern part of the Bois de Boulogne.